Whether you choose a gorgeous piece of Ammolite to brighten up your jewelry collection or to channel its positive cosmic energy, we’re sure you’ll be as seduced by this colorful, iridescent stone as we were when first introduced to it at Jeweler’s of America’s recent Press Preview. 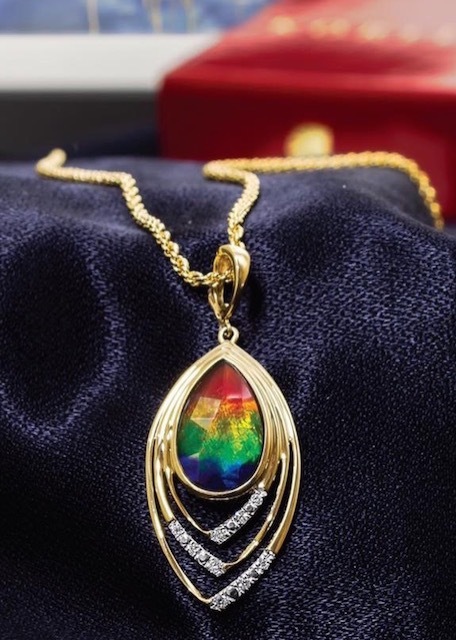 Also, like us, if you aren’t familiar with Ammolite, here’s a brief bio: Given official gemstone status in 1981, Ammolite is actually a fossilized shell from extinct marine life, known as ammonites, that lived over 70 million years ago! Because gemstone-quality stones (taken from the super-thin material on the shell) are only found in one place in the world, Alberta, Canada, Ammolite is very rare. The stone may also be referred to as Korite Ammolite, after its main supplier, Korite, who is known for its ethically responsible mining. 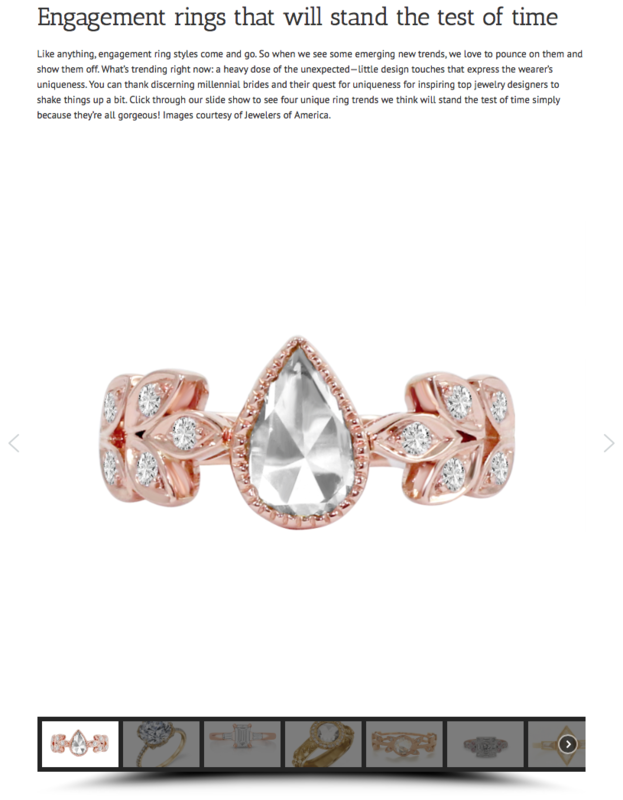 Fit for a Queen! 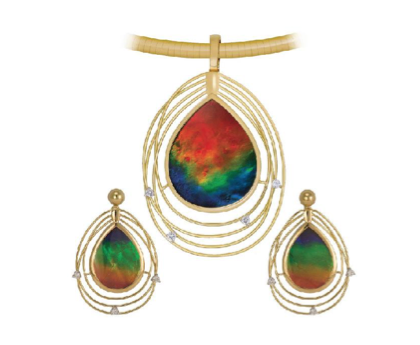 You’ll most definitely be feeling like royalty in KORITE’s Ammolite Royalty Pendant. Vibrant arm candy! 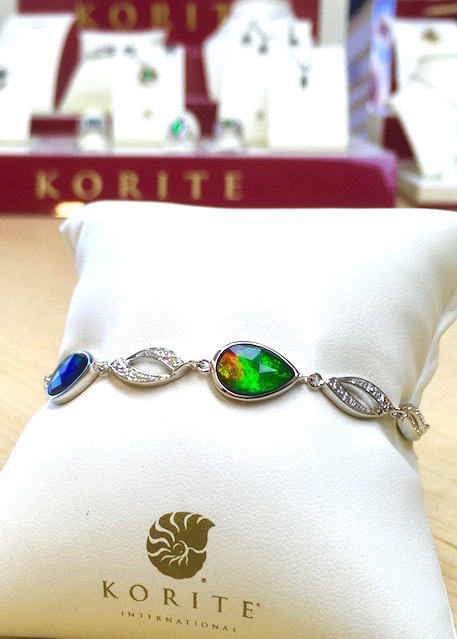 Ammolite sparkles in this striking bracelet of Korite Ammolite and white sapphires. About time! Let’s not forget the men. 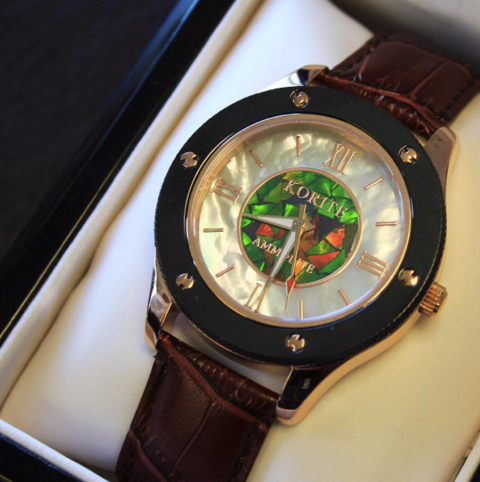 Korite’s Ammolite and mother-of-pear wrist watch makes a super cool and colorful statement.